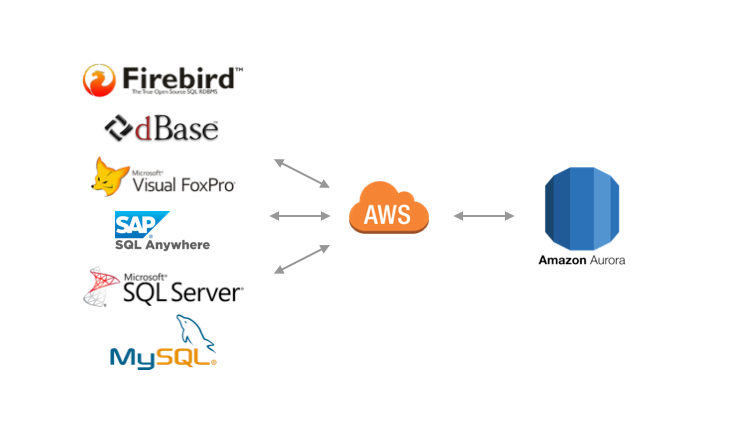 Tenant: an option to send data from multiple Firebird databases and consolidate on a single AWS Aurora-MySQL database. Send data from new engines (Sybase SQL Anywhere). Bipost Sync is an ETL-like Windows program to continually send data from Firebird SQL to AWS Aurora-MySQL and back forward. We just released Bipost Synchronization version 1.1.0. Run unlimited time stored procedures after data is uploaded to Aurora (previously limited to 5 minutes). Improved security for two-way synchronization. Improved support for special characters, e.g. now able to sync XML documents inside BLOB fields. First time customers: Automated creation of AWS services via CloudFormation template.